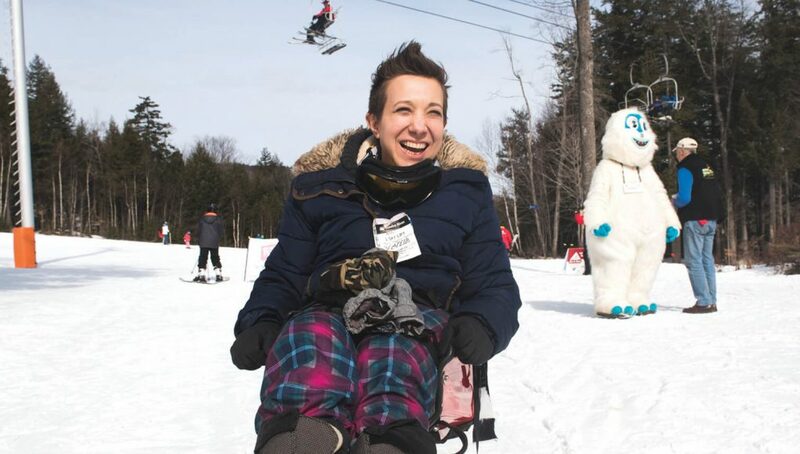 After discovering adaptive skiing in her 30s, Natalie St. Pierre has found a renewed sense of self (and now she can’t wait to try all the sports). Alpine skiing always intrigued Natalie St. Pierre, but a slight fear of heights and a preference for warm weather made the sport less appealing. She was also diagnosed with cerebral palsy at the age of 2. The congenital disorder, usually due to brain injury or abnormal brain development, affects St. Pierre’s lower extremities. She gets around with the aid of crutches or a wheelchair. Shortly after they began dating, Miller introduced St. Pierre to Maine Adaptive Sports & Recreation. 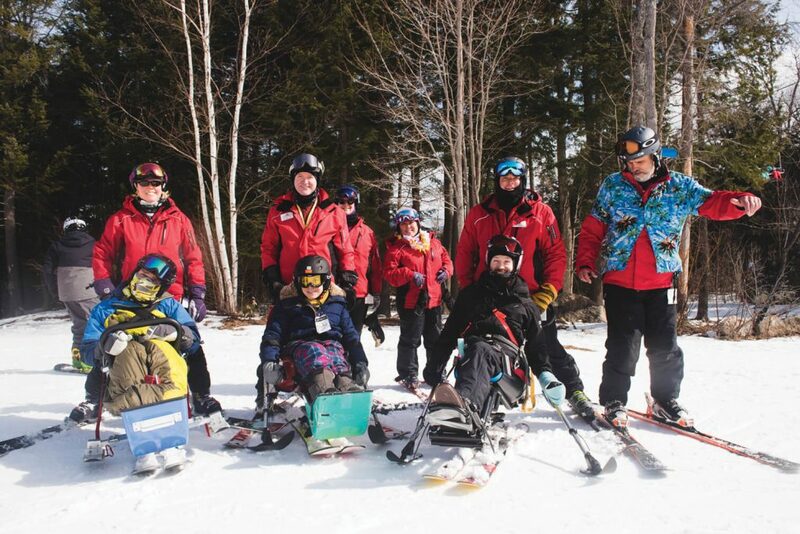 Founded in 1982 as an alpine skiing program, the statewide non-profit organization now offers free education and training in a variety of seasonal sports for individuals with disabilities. 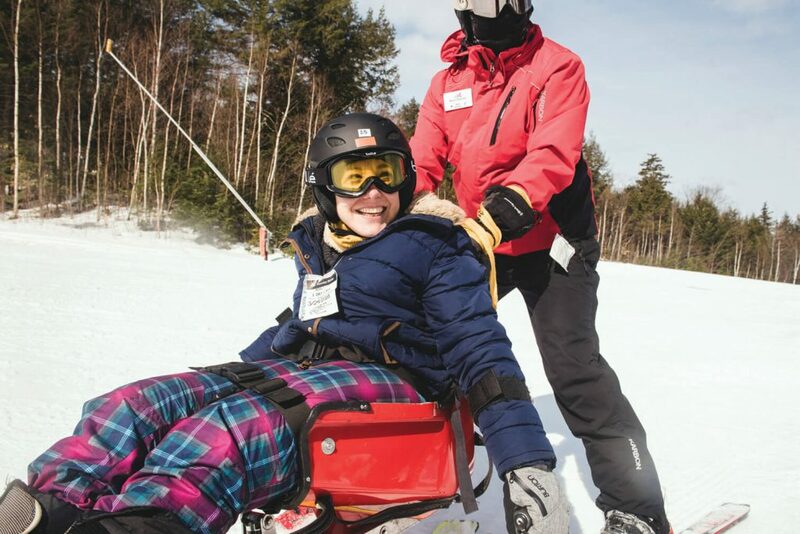 During her first ski season in 2015, volunteers with Maine Adaptive guided her through everything she needed to know and tips on acquiring the right gear. Due to St. Pierre’s limited mobility, the organization started her on a dual-ski. She sits cozily in a bucket seat that is mounted to an articulating device on top of a pair of skis. For added balance and steering, she uses hand-held “outriggers,” which are like ski poles but with miniature skis on the bottom rather than spikes. While St. Pierre shifts her body weight to steer the ski, a volunteer follows behind, attached to her with a tether, helping her control speed. During her first season skiing, St. Pierre and Miller made tracks at Sugarloaf, Saddleback and Sunday River. With each successful run, she felt more confident and took on more challenging terrain. By the end of the season, she skied one of the most difficult kind of trails—a black diamond—at Saddleback. Growing up in Colorado, St. Pierre lived a normal childhood—aside from spending her summer vacations at Shriners Hospitals. Between the age of 2 and 16, she underwent 16 orthopedic surgeries to address complications brought on by cerebral palsy. She attended University of Maine Presque Isle, obtaining her degree in creative writing, and later moved to Waldo. She currently works as a customer support analyst at athenahealth in Belfast. Maine Adaptive enabled approximately 500 children and adults with disabilities to experience winter and summer sports in 2016. During the organization’s 33rd annual Ski-A-Thon in March, more than $380,000 was raised. According to Director of Marketing Deb Maxfield, this annual event typically generates 50 percent of the organization’s annual operating budget. 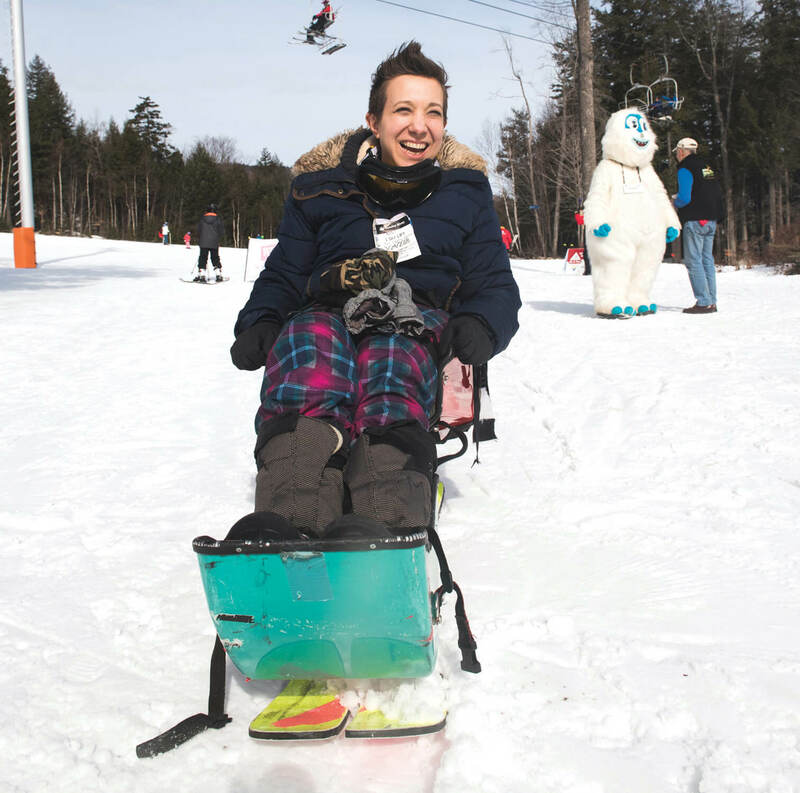 As St. Pierre approaches 40, she is grateful her disability is well managed and hopes to continue trying different activities offered by Maine Adaptive. Her 16-year-old daughter Trinity is her inspiration to continue trying different sports to stay in shape and maintain her health. To learn more about adaptive sports offered in Maine, visit: maineadaptive.org.